Trincomalee district parliamentarians Mr.R.Sampanthan and Mr.K.Thurairetnasingham, LTTE Trincomalee district political head Mr.S.Thilak, NECORD Deputy Project Director Mr.N.Puhendran, NECORD Trincomalee District Deputy Project Director Mr.R., Umakanthan, TRO Trincomalee District Director Mr.K.Mathavarajah, representatives of Danish Demining Group, Trincomalee District Chamber of Commerce President Mr.K.Thurairajah and several leading citizens participated in the event. The resettled Kanniya village is seen dotted with huts. After two-decade-old war, internally displaced families of Kanniya village, which is located near the historic hot wells, are returning to their lands. Till now about twenty families have returned to the village. 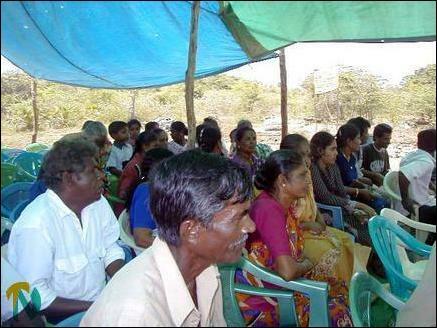 The TRO of Trincomalee district through the Rural Development Committee has identified the urgent needs of the resettlers. 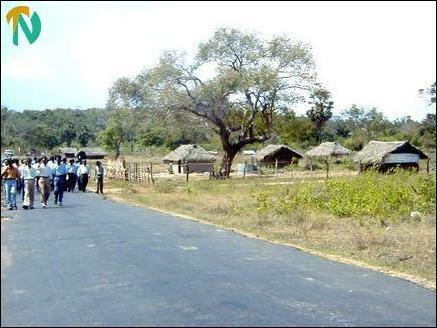 Kanniya is the first village undertaken by the NECORD under its CRDP. NECORD has provided funds for the construction of new wells and for repairing the damaged wells and for the construction of about ten rural roads. NECORD has also allocated money for the income generation activities, sources said. Trincomalee district political head of the LTTE Mr.Thilak laid the foundation stone for the multi purpose hall and Trincomalee district parliamentarian Mr.K.Thurairatnasingham laid the foundation for the pre-school. 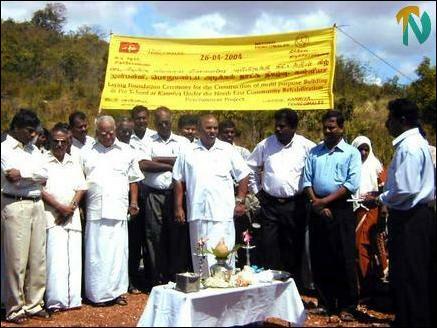 Trincomalee district parliamentarian Mr.R.Sampanthan unveiled the name board of the project. ( L-R) NECORD Deputy Project Director Mr.N.Puhendran, parliamentarian Mr.K.Thurairetnasingham, Parliamentarian Mr.R.Sampanthan, TRO Trincomalee District Director Mr.K.mathavarajah, Trincomalee District Chamber of Commerce President Mr.K.Thurairajah, NECORD Trincomalee district Deputy Director Mr.R.Umakanthan, LTTE Trincomalee district political head Mr.S.Thilak and TRO Trincomalee Project officer Mr.V.Kalaivarnan at the laying foundation event. 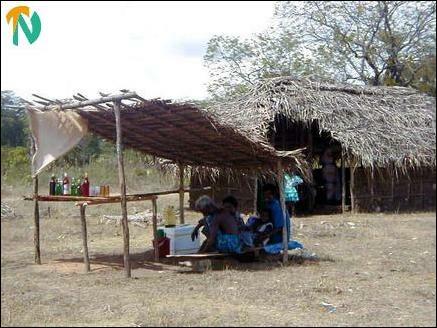 A resettled villager seen running a small stall, selling soft drinks in Kanniya. A section of the resettled villagers.